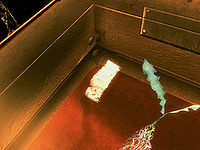 Wisp Wrappings are dropped by wispmothers along with glow dust. With Dawnguard installed, one sample can be found in Volkihar Keep in a locked display case. Falmer magic casters, warlocks, and Forsworn have a 0.5% chance of carrying one. 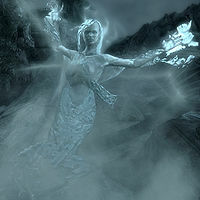 Wispmothers, including the Pale Lady, always drop wisp wrappings. However, wisps and wisp cores do not drop wrappings. This page was last modified on 9 April 2018, at 06:43.